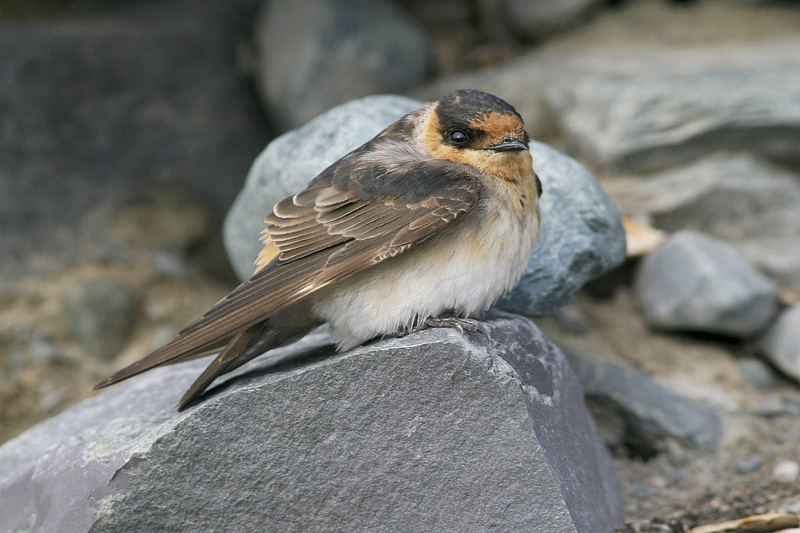 This Cave Swallow was a long way from home when it turned up in the southeast corner of Newfoundland in November 2008 – our one and only record thus far. Origins: The bulk of the population breeds in Mexico through South America, although colonies have sprouted more recently in southern Florida and Texas. With a tendency for reverse migration, there are numerous fall records throughout much of the United States and southern Canada. Record Details: Two records for Newfoundland. (1) The first was found at Long Beach (near Cape Race), at the somewhat expected date of November 13-16, 2008 following a large incursion through much of North America. (2) The second was present at Quidi Vidi Lake at the less expected date of May 29 – June 8, 2016. It is thought this individual may have been of the West Indies race, given both the date and the dark chestnut rump typical of that race.